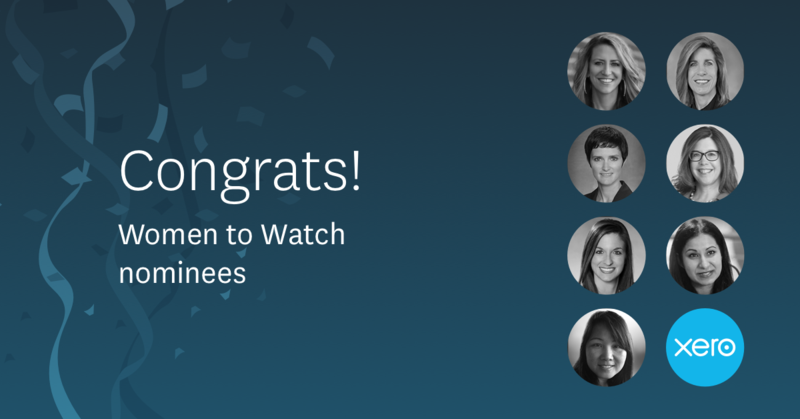 CalCPA is holding a Women’s Leadership forum April 29th and we wanted to congratulate our great Xero partners who are up for the 2016 Women to Watch Award. The Women’s Leadership Forum is designed to inspire and empower women at all stages of their careers. Topics discussed range from interoffice communication styles to the art of negotiating to leadership skills. In addition to the speakers, the women will all get a chance to meet and learn from one another. Many of our Xero partners (and one of our own!) were nominated for the 2016 Women to Watch Award. These outstanding women have been nominated for their inspiring contributions to the profession and their communities. Amy is the Global Vice President, Education and Head of Accounting here at Xero. She works with her team to develop and execute the education strategy for us worldwide in the form of Xero University (XeroU). She’s always coming up with new ways to educate our customers on using Xero to run their business. Xero customers, as well as, creating global consistency in the creation and management of educational programs for Xero’s accounting partners, implementation partners and small business customers. Jessica is a partner at Mazars and Moss Adams and is responsible for all Mazars referred work on the US West Coast. She has over 15 years of experience in public accounting, including 7 years of experience at Mazars Paris. In her years of practice, Jessica has provided audit services to large multinational companies, including worldwide audits of large European Corporations, under both IFRS and US GAAP. Her key clients are in the manufacturing and technology industries. Ramona is a Managing Principal at EisnerAmper LLP. Managing Partner Ueltzen & Company. After working as a Crew Chief of a B-52 with the United States Air Force, she became a paralegal, and then she transitioned to being a specialist in Business Valuation and Litigation Support with a local CPA firm in Sacramento. In 2000, she joined Ramona joined Ueltzen & Company and soon progressed to Managing Partner. In 2015, she was instrumental in the structuring, negotiation, and completed the merger of the firm into EisnerAmper, LLP where she remains as the Managing Principal of the Sacramento Office and the West Coast Forensic Accounting Practice for EisnerAmper, LLP. Renee Ordeneaux is a partner in Armanino’s Audit department and has more than 25 years of experience in public accounting and industry?including serving as the CFO of a nonprofit organization?and brings an entrepreneurial approach to her work. She provides audit and consulting services to a broad range of clients, including nonprofit organizations, privately held businesses and public companies. In the nonprofit sector, her expertise extends to income tax matters pertaining to unrelated business income and non-recurring business transactions. Danielle is an Assurance Senior Manager with Moss Adams LLP. She’s been in public accounting since 2004 and has experience providing excellent audit services to clients that represent a wide range of industries including apparel, technology, life sciences, and manufacturing and distribution. Her clients vary in size and complexity resulting in technical experience such as revenue recognition, international accounting matters, and equity transactions. Danielle is a recognized leader at Moss Adams in engagement management techniques. She has taught firm-wide training on the subject. Min Riblett is a Senior Manager in Armanino’s Tax department. As a CPA, she specializes in taxation of closely-held business with industry experience in real estate, high tech, manufacturing/distribution, construction and PE firms. Shae has been with Armanino since 2005 and is active in several professional organizations including CalCPA, AICPA, and East Bay CREW. As Vice-Chair for the Women’s Advancement Network board, her goal is to assist female professionals in advancement of their careers. Rajpal Gibson is a Manager in Armanino’s International Tax department, having risen through the staff, supervisor and senior supervisor levels with the firm over the last 9 years. As a CPA, she manages tax compliance for corporations, partnerships and very wealthy individuals. Prior to joining Armanino, Rajpal served as the finance and budget manager for the UCLA Department of Art. While we know not everyone can win the award, we have our fingers crossed for you all. The post Congratulations to CalCPA’s 2016 Women to Watch Award Nominees appeared first on Xero Blog. What will we be doing more of in 2017?